Abrogated onerous contracts with multi-national companies and negotiated mutually beneficial arrangements which significantly uplifted the living conditions of farmers. 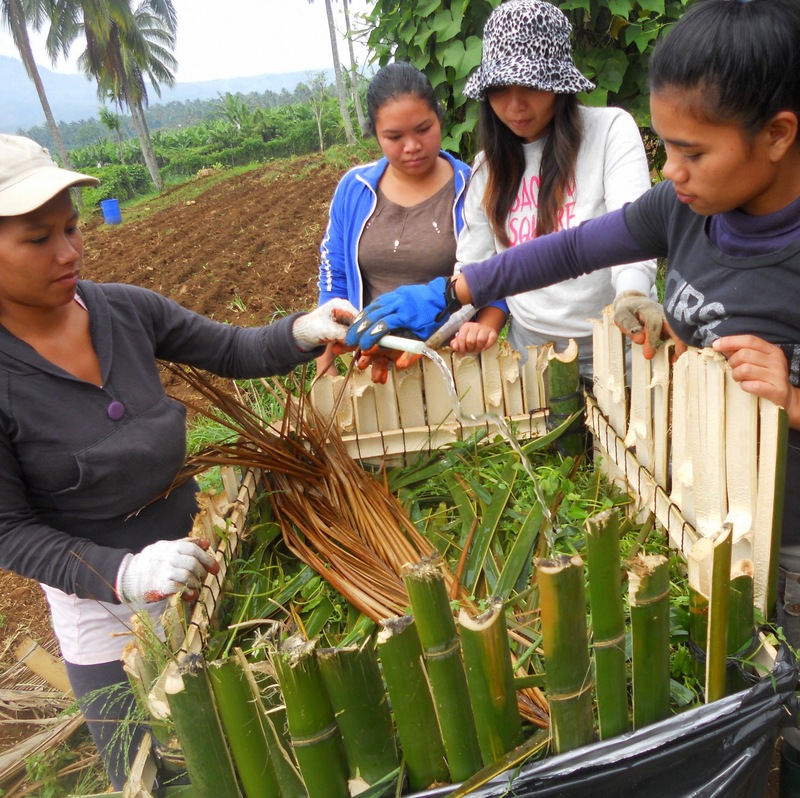 Assisted marginalized farming communities by forming agrarian reform banana plantation cooperatives and developing their capabilities to operate and manage their plantations. Linking local agrarian reform cooperatives to international market. 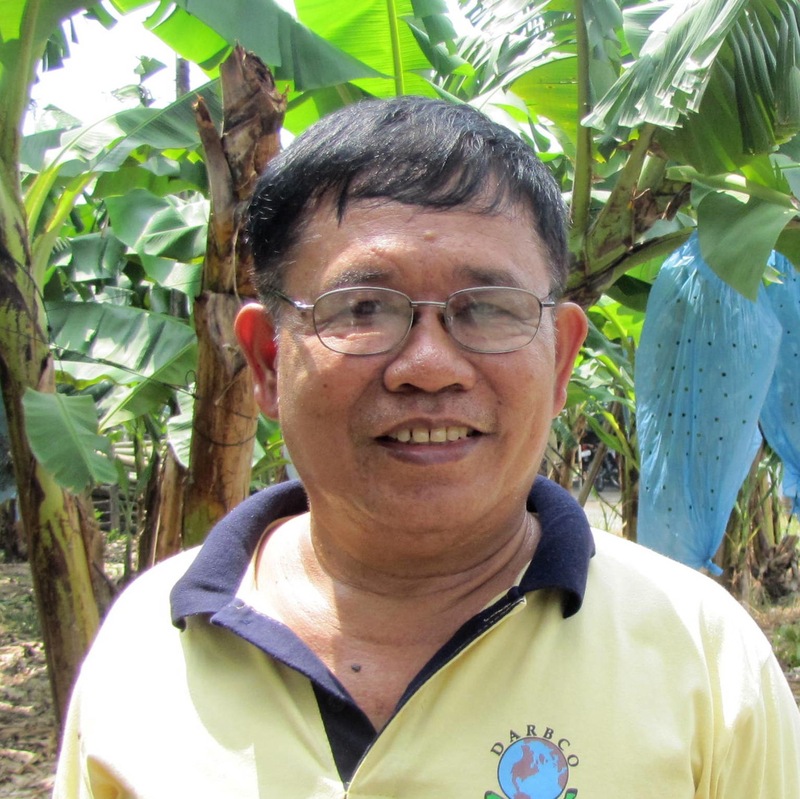 Established and empowered two organic banana cooperatives owned, managed, and ran by the Tagabawa-Bagobo tribal community farmers in Sibulan, Davao City. 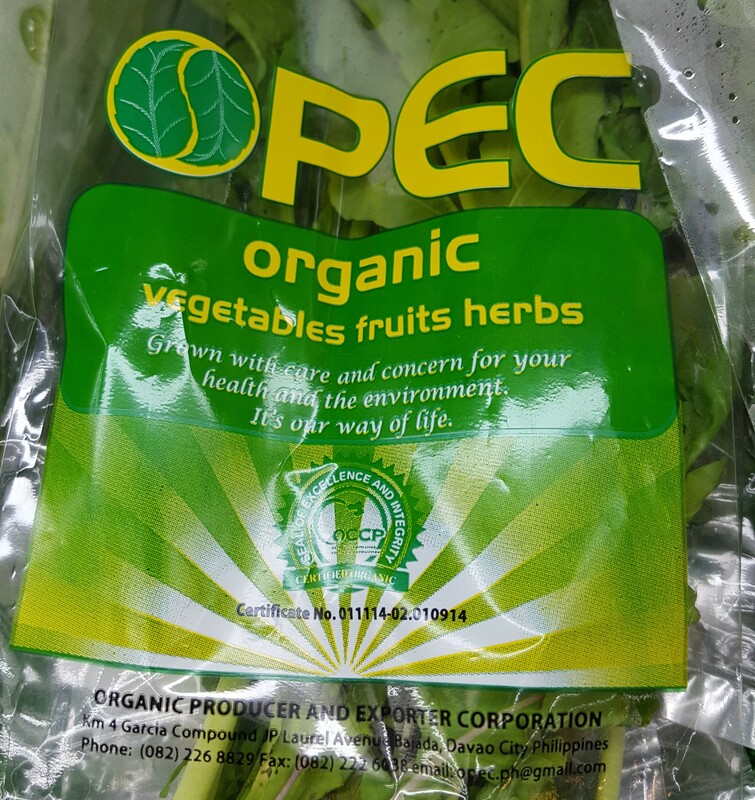 The Organic Producers and Exporters Corporation (OPEC) now exports Sibulan’s highland organic bananas to Japan. Established an organic vegetable research garden where organic vegetables are sold to local markets, supermarkets, and selected restaurants in Davao City. Raising awareness and leadership for women in organic agroforestry cooperative. Current organic agroforestry efforts include coffee, cacao, and non-timber forest products. Transforming 3,800 hectares of oil palm monoculture farms to organic agroforests in Agusan del Sur. The Foundation for Agrarian Reform Cooperatives in Mindanao (FARMCOOP) is a grassroots not-for-profit organization engaged in organizing and providing support services to farmers’ cooperatives. Our vision is to build resilient communities through sustainable agri-based enterprise and cooperative effort. Since 1995, we have served over 6,000 farmers in more than 20 cooperatives and associations of agrarian reform beneficiaries, small-scale farmers, and indigenous peoples. They own more than 10,000 hectares of land in Mindanao where they produce various fresh or processed agricultural products for the local and global markets. We believe that farmers’ cooperatives have a special role in society as effective vehicles in empowering their communities towards holistic development. Through FARMCOOP’s core services, farmers’ cooperatives can realize their collective goals and aspirations through cooperativism. Learn more. – Mr. Herminio B. Martin, President & CEO, Unifrutti Philippines, Inc. Grown with great care and concern for your health and the environment. 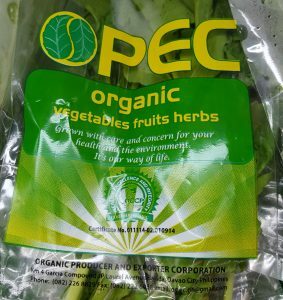 Through OPEC, FARMCOOP facilitates marketing of certified organic vegetables and fruits to local Davao City supermarkets (SM Lanang and SM Ecoland). Profits earned support organic agriculture in our farming communities. Please visit OPEC‘s link. 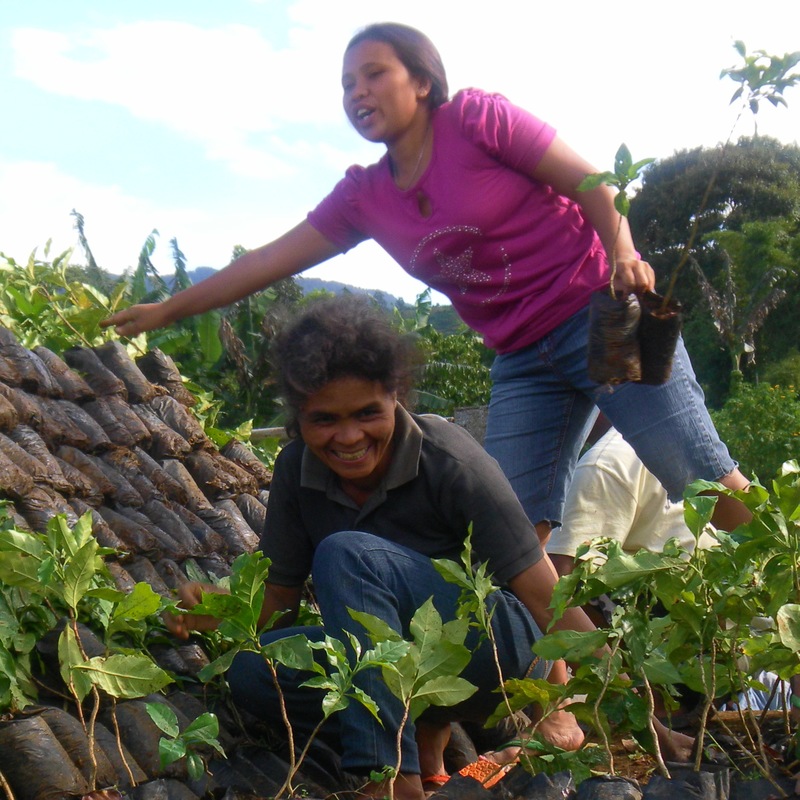 Farmcoop trains Tagabawa-Bagobo tribal youths and mothers in Sibulan. The Organic Backyard Gardening Project in Sibulan helps families grow their own organic vegetable gardens to address child malnutrition and promote family resilience. This project has benefitted more than 800 community members and over 400 children thus far. Organic vegetable surplus are sold to the local market or donated to three local childcare facilities. Environmental restoration via agroforestry: cacao, coffee, non-timber forest products. Benefitting 230 Bagobo-Tagabawa farmers and their families, this project intends to alleviate poverty in remote areas of Sibulan, strengthen indigenous land rights while promoting cultural revitalization and environmental conservation. Non-timber forest products (NTFP) such as coffee and cacao are currently being planted by the agroforestry cooperative in over 600 hectares of degraded land.